Free Doughnuts are coming! 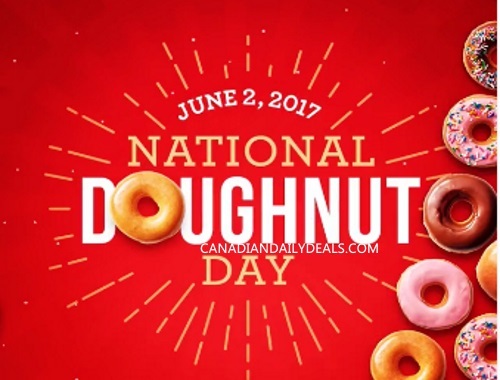 This Friday, June 2 is National Doughnut Day and Krispy Kreme is giving away Free doughnuts! Get any doughnut for free! All Canadian locations will be participating! No purchase is needed. There is a limit of 1 Free doughnut per customer, while supplies last. Click here to find a Krispy Kreme near you.